Fabulous food in a prime fireworks viewing spot this New Year’s Eve. Spend a memorable New Year’s Eve on the banks of South Wharf with fabulous food, free-flowing sparkling and amazing vantage points of the spectacular City of Melbourne fireworks displays. As you countdown to midnight, choose from a: lavish 3 or 4 course feast, elegant Japanese 5 or 7 course degustation, 7 course Thai banquet, 5 course sharing style feast or a Caribbean Carnival party with bbq & canapés. Then when the clock strikes midnight, you will be in prime position to view Melbourne’s amazing New Year’s Eve fireworks display. 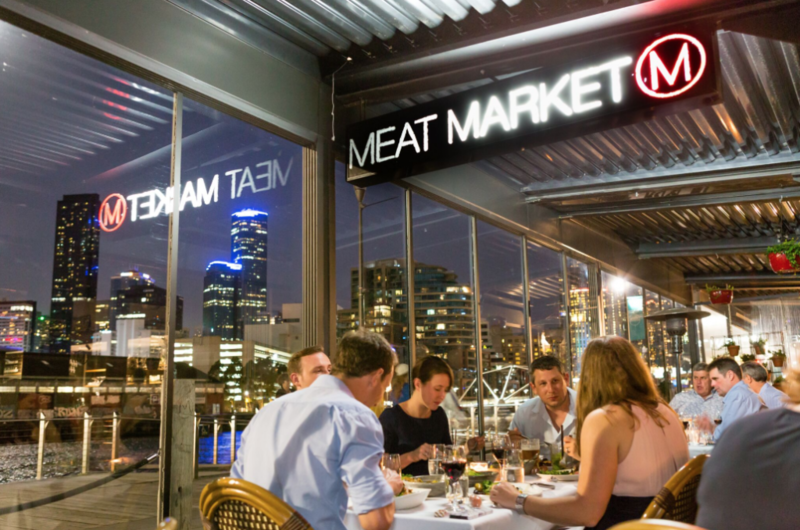 Welcome in the New Year with a mouth-watering three or four course feast at South Wharf’s Meat Market. Kick your night off with a raw bar featuring a selection of Australia’s finest seafood: Coffin Bay oysters, Spencer Gulf prawns, Portarlington mussels, live sushi and sashimi station, followed by a feasting platter with Meat Markets favourite producers including Robbins Island Wagyu, Barrowdale Pork, Nicholas Poultry free range chicken and Salt Grass lamb, finishing the night of with decadent dessert canapés. Enjoy a true Victorian culinary experience and Melbourne’s best and most exclusive views along the Yarra River. There will be two sittings available a family friendly 3 courses 5.00 pm – 7.30pm and a 4 course with a glass of Champagne on arrival from 8.30 pm – 1.00am. Bookings are essential. Get in quick to avoid missing out. You’ll be hard pressed to find a better offer than $125 for a 5 hour all-inclusive package of beer, wine and bubbles plus plenty of food and an amazing waterfront view. But that’s exactly what The Boatbuilder’s Yard is offering this New Year’s Eve. Round up the crew and get your tickets now. Bring in the New Year with a BANG at BangPop South Wharf with their New Year’s Eve Banquet. 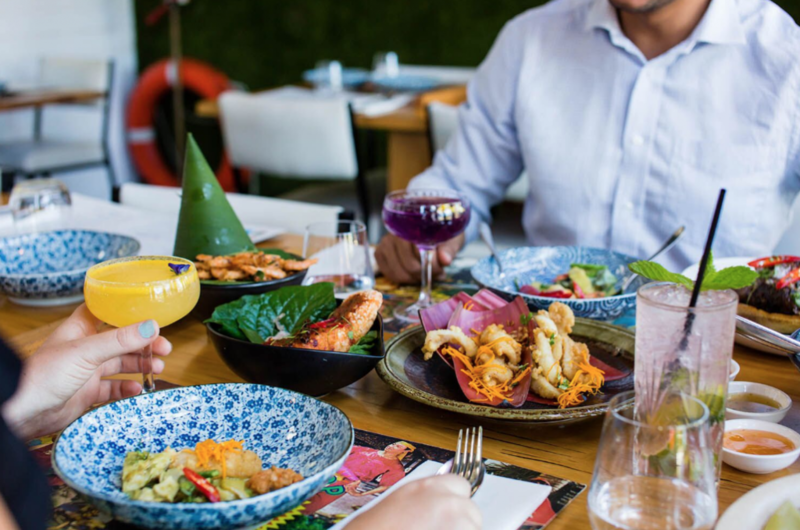 Join family and friends and toast to the New Year over a seven-course dinner at BangPop, one of Melbourne’s best spots for high-quality, authentic, casual Thai street food. Located on the banks of the Yarra River in South Wharf, BangPop is at the very centre of all the 2017 New Year’s Eve action and is the perfect place for celebrating the biggest night of the year. The family-friendly restaurant will have two seven-course sittings available. Surrounded by a vibrant atmosphere, stunning water views and a seven-course dinner packed with flavourful dishes, aromatic condiments and endless sparkles, this New Year’s Eve banquet is too good to miss. Tickets are limited. Bookings are essential. Get together with family and friends and indulge in Akachochin’s New Year’s Eve degustation dining experience. Sip on a glass of champagne and take in all of what a Melbourne New Year’s Eve has to offer at the restaurant’s riverside location. With two sitting times available, this event can be enjoyed by kids and parents a like. Akachochin’s modern approach to Japanese cuisine incorporates traditional techniques with modern flavours to create delicious dishes for everyone to enjoy. Bring in the new year in style with a 5 course sharing style feast at Bohemian Wine Bar. Located by the banks of the Yarra River in South Wharf, just a 10 minute walk from the CBD & Docklands. 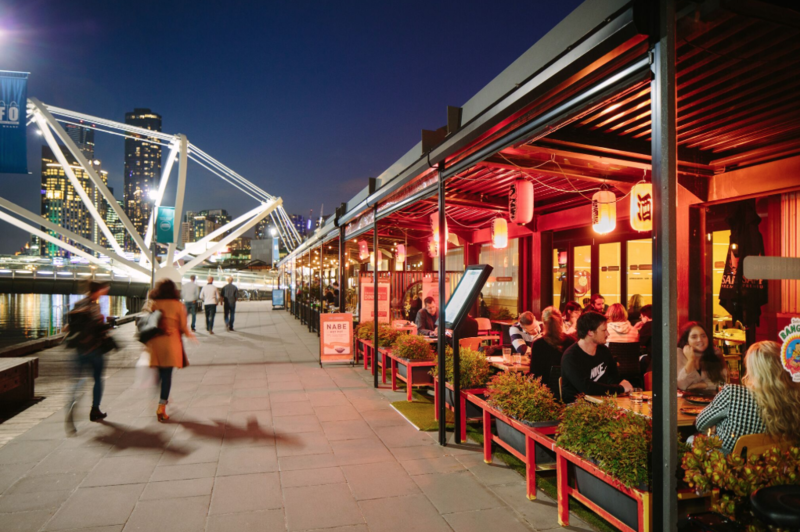 Bohemian Wine Bar is the prime spot to catch the Docklands & CBD Fireworks displays. 8.00 pm – 1.00 am | 5 courses | $89pp. Includes a glass of Champagne on arrival. 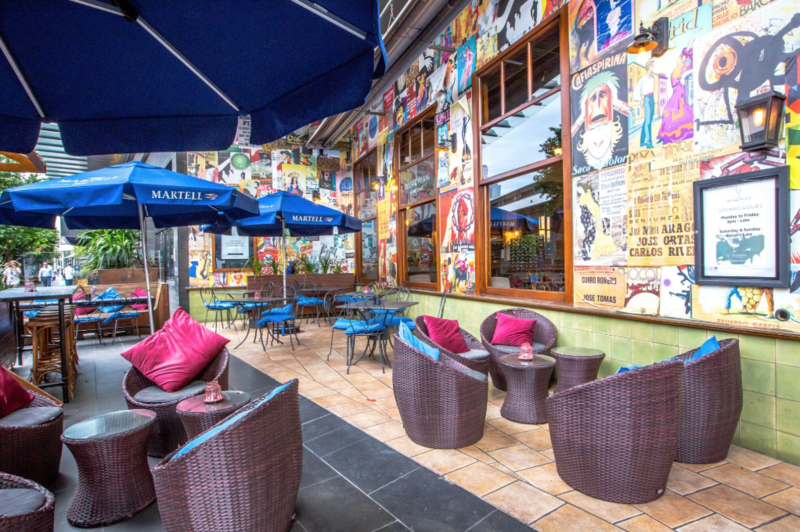 Head over to Plus 5 South Wharf, this New Year’s Eve for a great night out riverside. 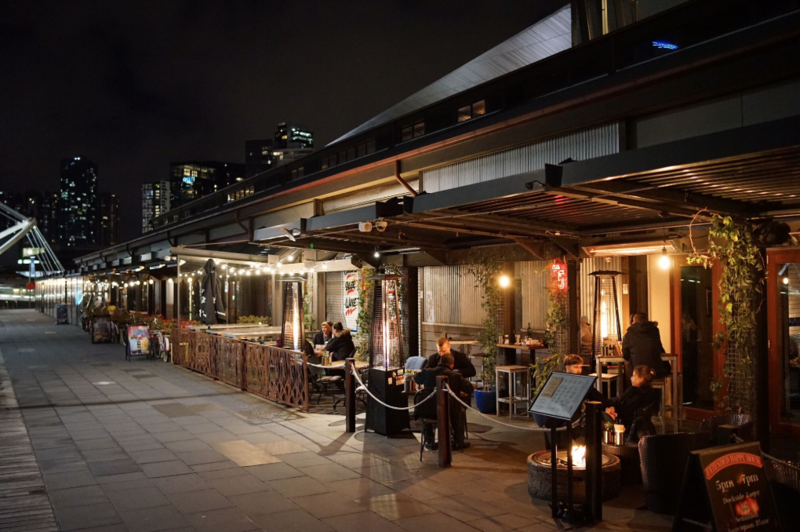 Plus 5 is hosting a riverside party bringing you live music, all night tapas and grazing plus a four-hour package of free flowing bubbles, wines and beers, not to mention a great spot to catch the Docklands and CBD fireworks at midnight. Doors open at 8pm. The theme is tropical so come dressed in your best tropical attire if you desire! Tickets include live music, all night tapas & grazing plus 4 hours of free-flowing bubbles, wine & cider. Includes: 1 cocktail on arrival, canapés, wine, spirits & beers with bubbles at midnight.